Summer is, for many of us, a perfect opportunity to expand the reading time. The beach trips, the longer days and the series of three-day holidays often free up more chances to crack open a book and enjoy a literary treat. With this in mind, we compiled a list of five books that have, in some way, a local tie. In certain cases, it's a local or former local who has written a great title. In others entries, we spotlight an author who has visited here recently and has a book that's a must-read. By all accounts, the books are engaging and should be considered for the summer reading list. "Madhouse Fog" by Sean Carswell. The former Northern Arizona University student Sean Carswell has gone on to great things. His "Train Wreck Girl" and "Drinks for the Little Guy" are both gems of novels. And now he's expanded his talent and range with his third novel, "Madhouse Fog." Set in a Southern California psychiatric hospital that was formerly a scandal-ridden private university, Carswell explores mental illness and the human condition in sharply observant, dark, humorous and daft ways. "Madhouse Fog" carries echoes of Kurt Vonnegut and elements of Ken Kesey. Carswell keeps the story flowing with his uncanny ear for dialogue and ability to blend familiar elements of noir with unlikely curves in the narrative. Carswell's extensive research, which involved mining the archives of Camarillo State Hospital and interviewing dozens of current and former employees at various institutions, informs the novel in smart and revealing ways. Carswell remains a formidable literary talent with Flagstaff connections. 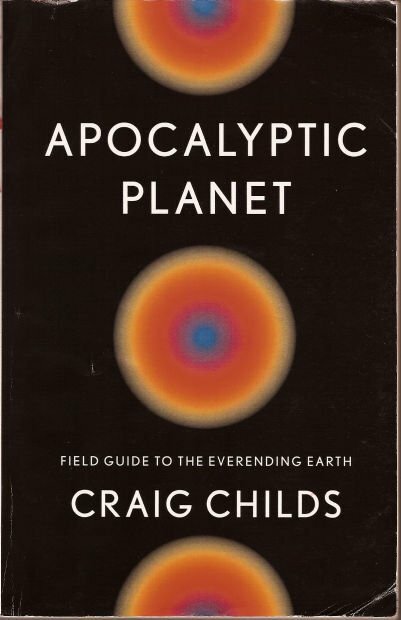 "Apocalyptic Planet" by Craig Childs. Released last fall by Southwest author Craig Childs, "Apocalyptic Planet" is a book that has elevated him to, well, one of the best adventure writers on the planet. Childs, who has made a number of visits to Flagstaff for author events, continually amazes with his incredible travels and his ability to capture them with a searing acumen. Usually, our part of the world is his domain. But "Apocalyptic Planet" breaks out of his regional perspective and goes global. He writes on Desert Southwest locales such as the Gran Desierto in Mexico, but he also heads to places such as St. Lawrence Island in the Bering Sea, Tibet, Greenland and Patagonia in South America. On the latter trip, he even joined Flagstaff filmmakers Ed George and Denise Stilley and Flagstaff photographer James Q. Martin as they worked on their "Rios Libres" project. Intact in "Apocalyptic" is Childs' ability to transport the reader to a place and a moment with the sheer power of his words. Then, with the reader's attention heightened, he builds a compelling case that cataclysmic change has happened, will happen and could even be in motion at this moment. 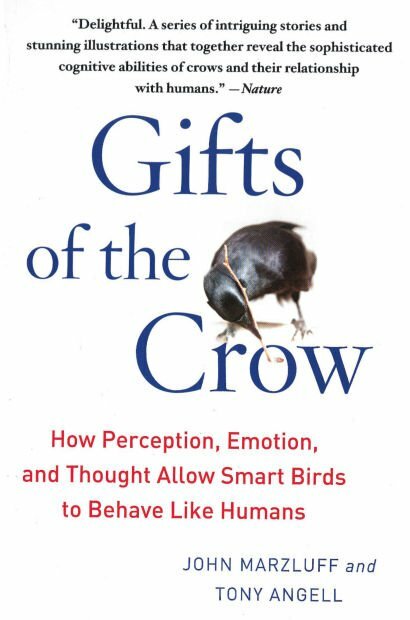 "Gifts of the Crow: How Perception, Emotion, and Thought Allow Smart Birds to Behave Like Humans" by Tony Angell and John Marzluff. For anyone with a love for ravens -- or even a passing curiosity about the smart and ubiquitous birds, this book is a great read. It's written by artist-naturalist Tony Angell and researcher John Marzluff, who is a Northern Arizona University graduate. "Gifts of the Crow" is an engaging book about the intelligence of crows, ravens and other birds known as corvids -- many that are common to the region. The authors relate curious stories about the animals, such as a raven nicknamed "Hitchcock" in Washington state's Cascade Mountains who stole the rubber off windshield wipers. Marzluff and Angell also explore the frolic of corvids, and include a story of ravens in Colorado's Rocky Mountain National Park clutching concave arcs of tree bark in their feet and using them to "windsurf" during a blustery day. Marzluff and Angell also explore stories and explanations on how crows gather around their dead and mourn, recognize people as individuals, lure animals to their death, drink coffee and beer, and design and utilize tools. The book truly awakens a deep understanding of these amazing animals. "Let's Explore Diabetes with Owls" by David Sedaris. In April 2012, acclaimed author, commentator and humorist David Sedaris brought a crowd of hundreds to NAU's Ardrey Auditorium for a night of side-splitting laughter. Sedaris's "Let's Explore Diabetes with Owls" just came out a few weeks ago. And for anyone who caught him at his Flagstaff appearance, owning this book is kind of like buying the album after a music concert. All the great numbers from the night are there. The essay "Attaboy" explores the changes in parenting between the author's upbringing and how parents raise their kids today. He writes, "Our artwork did not hang on the refrigerator because our parents recognized it for what it was: crap. They did not live in a child's house, we lived in theirs." His essay on Pimsleur audio programs, read at Ardrey to riotous laughter, is also included in "Let's Explore Diabetes." The collection also includes other gems. Try not to snicker while reading Sedaris's take on getting a colonoscopy in "The Happy Place." While not the author's best work, "Let's Explore Diabetes" is required reading for Sedaris fans and anyone who caught his Flagstaff show. "Quench Your Thirst With Salt" by Nicole Walker. Set for a June 1 release, Nicole Walker's "Quench Your Thirst With Salt" is an impressive feat of creative nonfiction. Walker, who teaches English at Northern Arizona University, is a poet and essayist who isn't afraid to push boundaries. "Quench" is a 140-page memoir constructed of 15 essays that plumb the childhood and coming of age of Walker's upbringing in Utah. In a non-Mormon family in Mormon country -- and with an alcoholic father, Walker's view is that of the outsider. What makes her memoir sing is her ability to link her own body and soul to the body and soul of the land where she lives. In the essay "Thistle Landslide," she asks: "How literally can you take the metaphor between the land and the body? My body houses a number of species of mite and yeast and bacterium, and occasionally, another human body." With Walker's "Quench Your Thirst," it's as if she has ingested a truth serum and -- with her lucid memory -- has conceived a biting account of family, history, place and consequences.